Limited Edition 11x14" size pen and ink print from hand-drawn original of Toomer's Corner on the campus of Auburn University in Alabama. 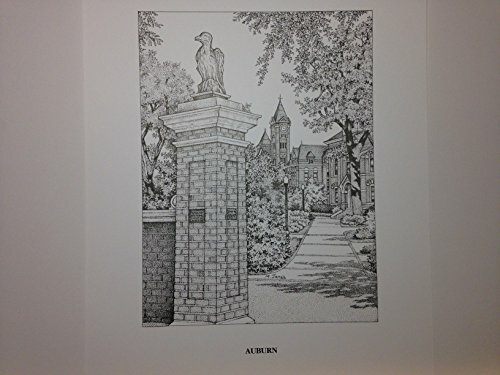 The scene depicts Toomer's Corner; which is the entrance from downtown Auburn onto the campus; and you can see Samford Hall in the background.. Prints are from a limited run of 250 prints and are signed and numbered. Your purchase includes print, foam-core backing, and about-the-artist flyer within an acid-free packaging.